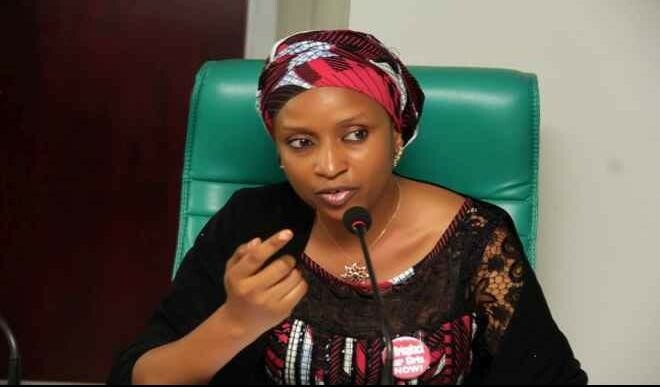 The Delta Seaports Stakeholders Association, DSSA has accused companies that were not successful in procuring the Escravos Bar Dredging and other NPA dredging projects' contract of sponsoring alleged defamatory online publication against the Managing Director of Nigerian Ports Authority, Hadiza Bala Usman and other members of the board,saying those responsible are playing games with the socio-economic life of Nigerians. The controversial report by Secret Reporters alleged that the NPA Board awarded contract for remedial works at Escravos Channel -Replacement of Aids to Navigation and Minor Dredging of Delta Ports, Warri to a company purportedly banned in Europe. Delta Seaports Stakeholders Association,DSSA in a statement released in Warri,Monday September 3, through its chairman, Emiko Oghomienor,averred that the report is the" height of malice, callous insensitivity and a ploy by the online news media and its paymasters to rubbish the laudable achievements of the NPA Board led by Hadiza Bala Usman". The statement which noted that," the Escravos Bar dredging project currently being undertaken by the NPA through Dredging International Services has long been underway and its actualization is due to rigorous continued engagements led by our association and other groups in order to bring the Warri Port back to life," asked," where were Cadrell Advocacy Centre,Secret Reporters and their sponsors when the said Escravos Bar remained under-dredged, navigational equipment broken down and break waters failed for decades?". While noting that the said publication admitted steps taken by Hadiza Usman on issues raised with the Attorney General of the Federation and BPP, the Delta Seaports Stakeholders enjoined sponsors of the report to allow the various MDAs involved in the matter to do their jobs"and stop their campaign of columny against the NPA Board".